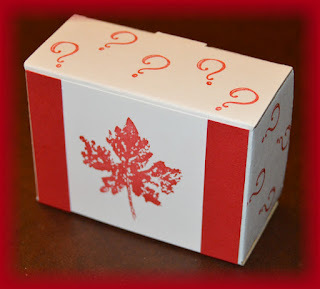 Watch this blog for a fabulous Canada Day Special Offer from craftDbear. Supplies used to make this box. Box - Can you guess what product came in this box. Hint: It came from the current Stampin' Up! catalogue. It's so nice to open up the mail box and pull something out that isn't a bill. Wouldn't you be tickled pink if you got one of these cards in your mail box. nice than getting them in the mail. Thank you so much for these gorgeous cards. That was a fabulous weekend. Friday night I got to meet with some of my fellow demonstrators and we came up with some great ideas. Deb treated us to some delicious cupcakes. Aren't the picks cute? Saturday I hosted a crop in Mt Pleasant. The location was beautiful and we all had a fun day. There was plenty of space for everyone. 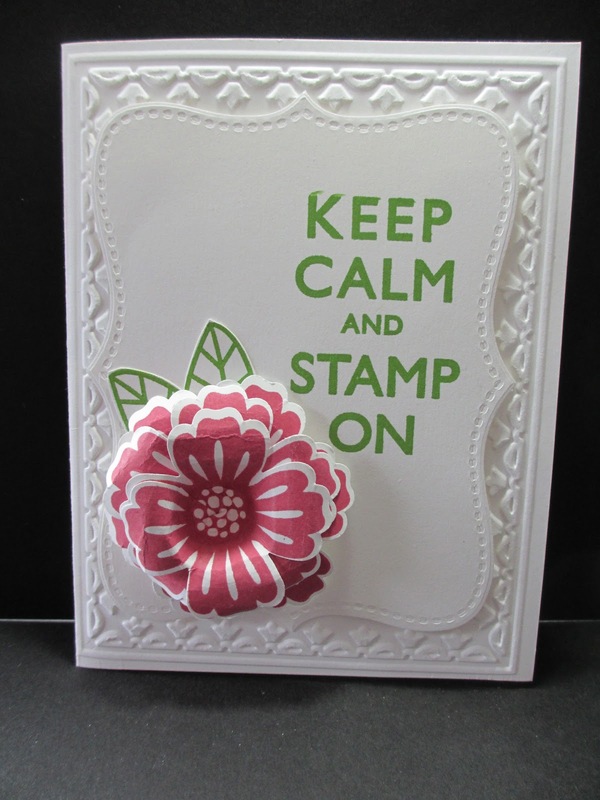 Working with Stampin' Up! fabric. There were many things I wrote down to remember for next time. One of them is to take pictures of all the great food we had. pulled pork and the salad. Yup! That's right. I forgot serving spoons. We had to get creative or go hungry. Cleaning OR Crafting OR Computer. I will pick the latter two every time. My Mom sent me this cute poem. I'm pretty sure she wasn't trying to tell me something. She couldn't possibly be telling me to clean my house. Why my house is such a mess. Nothing's changed except my mouse. While I sit here on my hiney. Of course as soon as she sent me this I thought I would put this on my blog. Which sent me to my computer. It's the day after. 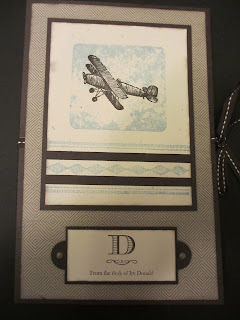 The day after an exciting, fun, fabulous craftD Stampin' Up! Catalogue Launch Party that is. It all started with a crazy whirl of activity whipping the room into shape. Wow! 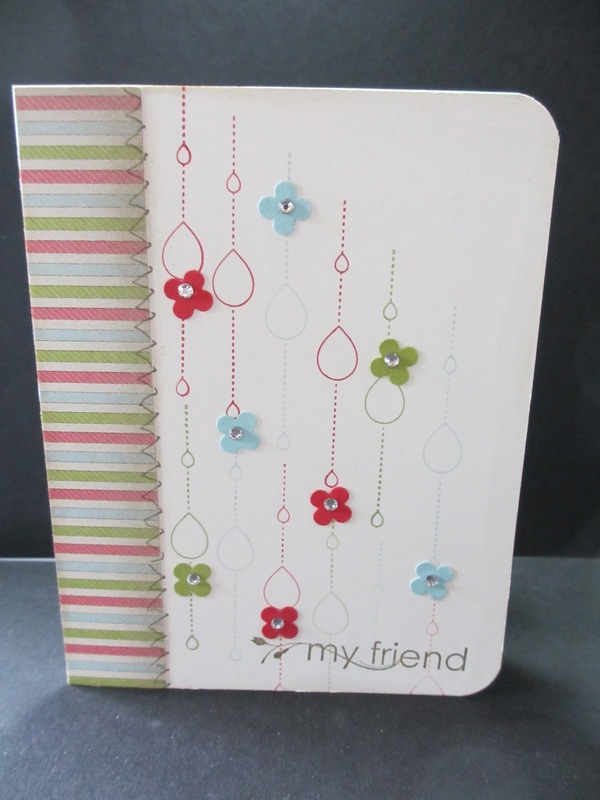 So many came out to pick up their NEW catalogue and get some deals on NEW and Retired Stampin' Up! items. 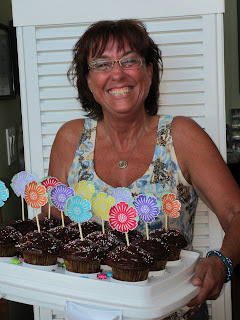 We had make 'n' takes and goodies and door prizes. exclusive special only for you as a thank you for attending my 2012-2013 craftD Stampin' Up! Hear are the winners. You didn't have to be present to win and sadly none of our winners were present at the time of the draw. 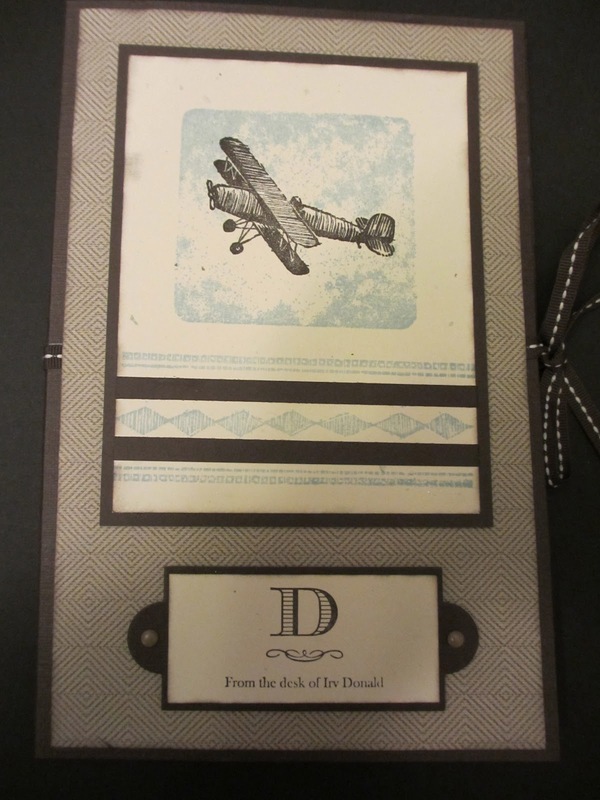 Oh but wait, I should tell you that the super cute baskets were made with the dresden die. so reasonably priced and add such a big WOW to every project. OK have I teased you enough. This is a draw for basket #1 which held numerous goodies and a $10 gift certificate to use on upcoming classes. This is a draw for basket #2 which held numerous goodies and a $10 gift certificate. Mom was having so much fun I just had to let her pick again. You forgot to put your name on the ticket. Please check your tickets and let us know. This is a draw for basket #4 which held several goodies and a gift certificate for $20 towards classes. My beautiful, talented, fabulous, sweet niece Karen picked our winner. the lucky winner. Now before I announce this I would like to say that there were witnesses. NOW FOR THE GRAND PRIZE. My SUPER SISTER, Sister-in-law, talented, always helping me behind the scenes, creative and super generous friend, Diane Blumenstock chose our lucky winner. I have to assure this draw was not fixed as well as our winner has been a previous lucky winner. You will probably all hear her cheer from wherever she is as she reads this. 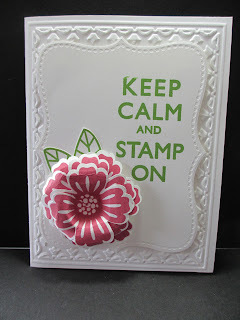 THANK YOU EVERYONE FOR BEING SO SUPPORTIVE OF MY STAMPIN' UP! BUSINESS. 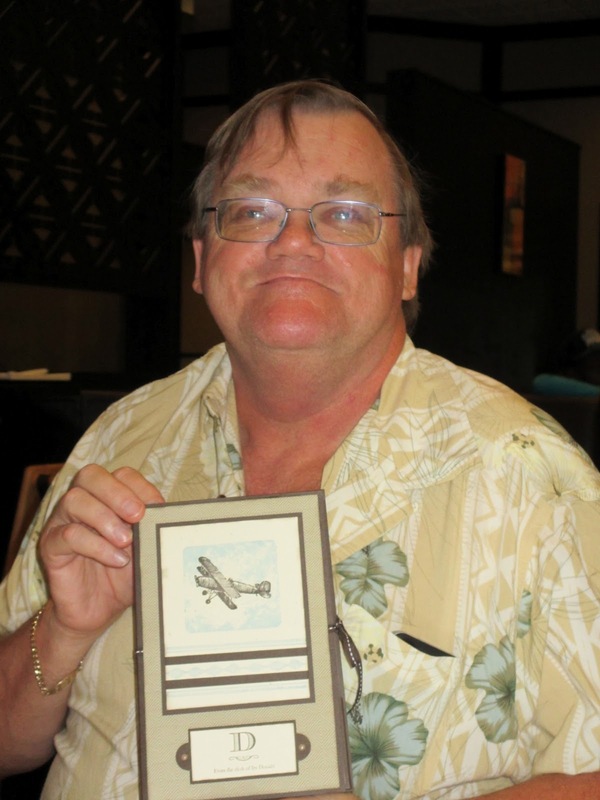 email me or talk to me in person to share your comments or ideas.